A part of Venice’s history that is rather shameful. The Jewish or Hebrew ghetto of Venice was the first ghetto for Jews in Europe and was the place where the word first originated. 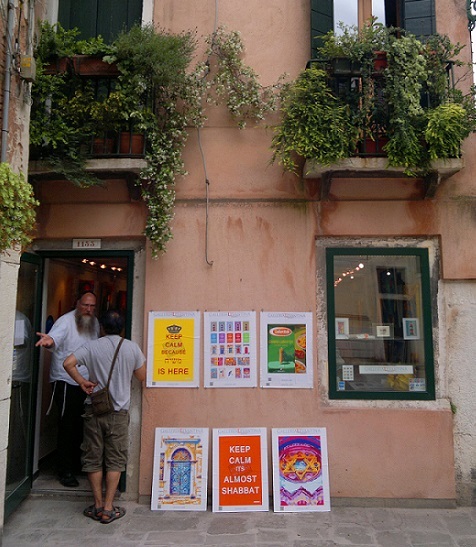 This once run down and rather remote area in the Cannaregio Sestiere, a short distance from Venice's train station, was where Venice’s Jewish population were forced to live from the 16th century until the late 18th century when Napoleon lifted the restrictions on their movements. The ghetto was guarded, living conditions were cramped and uncomfortable, despite this the Jewish population grew to a peak of around 7000... before declining to only 500 after World War 2 and the Holocaust. Now enjoying something of a revival, the Jewish Venice Association is attempting to encourage Jews to return. 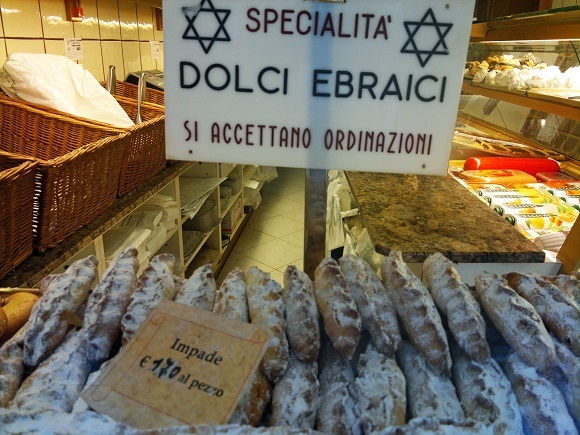 They have a Jewish school in the area – the first Jewish school in Venice in over fifty years, bookshops have started to open and there is even a kosher restaurant. Then there are the five absolutely amazing old Synagogues. You'll find that a lot of the stores in the area cater for the local Jewish community too with many selling traditional Jewish foods. So if you're craving a Bagel or Kugel you might well find it here. Cannaregio's ghetto is not a very touristy district of Venice. Apart from the many Jewish people, from the USA in particular, who make the journey to see an important part of European Jewish history few visit. Even if you are not Jewish it is still well worth visiting and I am sure you will find it a moving experience. The overriding impression here is of cramped buildings – because the area was small the inhabitants were forced to live one on top of the other. It is an interesting area to stroll around and the sense of community still seems to be tangible. In fact it is one of the few areas where you don't feel that Venice is principally on earth to cater for tourists. Lovely also to wander around shops that aren't all selling tacky souvenirs. Their ghetto walks, undertaken by an expert on the history of the ghetto, are definitely something to consider doing and are of great interest, both from an architectural and a historical point of view. If you want to visit the Synagogues you will only be allowed access with the guided tours which cost 9 Euros. They take an hour with the first one starting at 10.30 a.m and the last one at 4.30 p.m - information is available at the museum. There is only one place in the Venice ghetto area that I can recommend. It is the Cannaregio Residence. 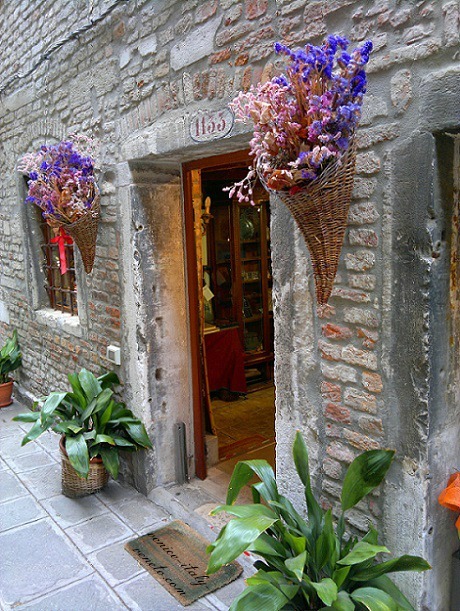 The location is right on the edge of the ghetto and in a part of Venice where tourists seldom venture. By staying here you get to experience something 90% of tourists to Venice miss - the real Venice. The Cannaregio Residence used to be a monastery and now the cloisters are an oasis of green and tranquility - a great place to return to after a day out in the hustle and bustle of the city. Need a hotel elsewhere in Venice? I'd not hesitate to recommend these. For more photos of the ghetto visit our galley here.